Peanut butter cookies may not have as big a fan base as their chocolate-chip counterparts, but their distinct flavor is loved by many a cookie enthusiast. 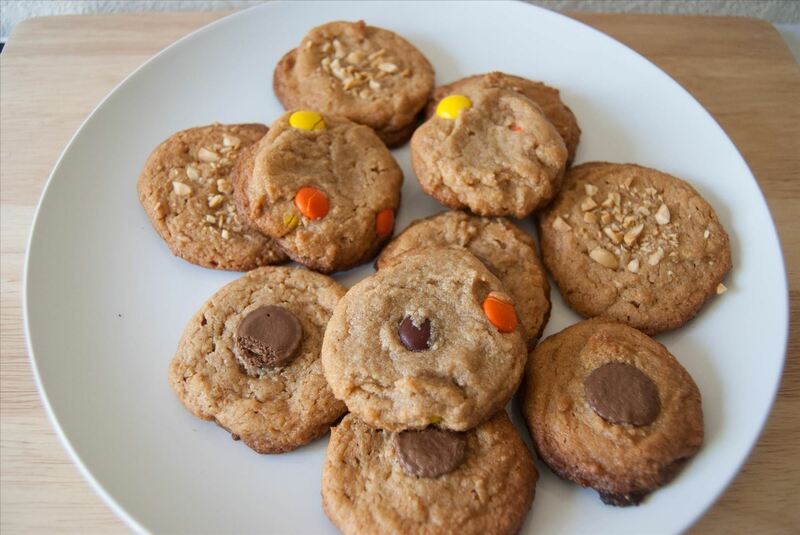 Peanut butter cookies do have one giant advantage over chocolate chip, however—you can make them without flour and not miss a beat, according to Southern Living and PopSugar. Definitely an amazing hack for folks that have to avoid gluten for health reasons! The original recipe calls for 1 cup of white sugar, but I found that ½ cup of brown sugar and ½ cup of white sugar creates a more complex flavor that I attributed to the molasses in brown sugar. If you prefer your cookies to be less sweet, however, you can always decrease the amount of sugar to equal amounts—such as ¼ cup of each. This recipe is very flexible, so play around with it to find what works best for you. The original recipe also calls for vanilla extract, but I found the extra sweetened flavor unnecessary. As for add-ins, I fully encourage you to deck out your cookies. 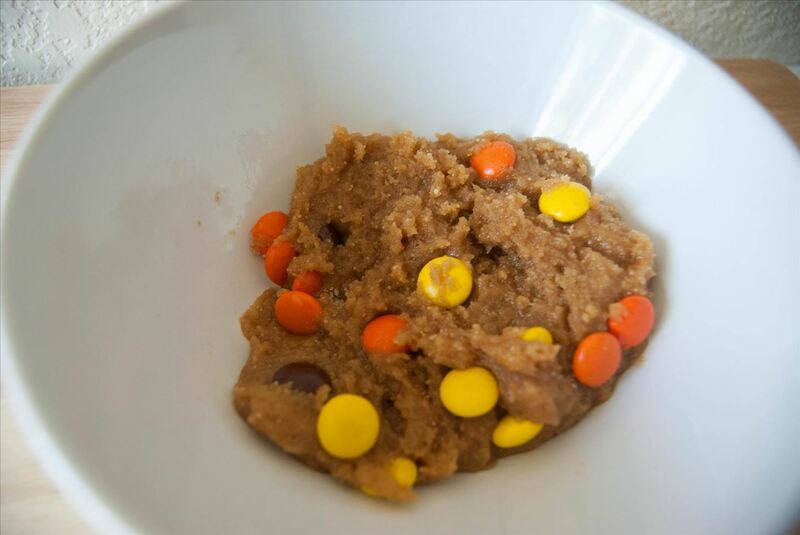 I chose to add miniature peanut butter cups, chopped peanuts, and peanut butter chocolate candies into the mixture. In other words: go nuts—literally! 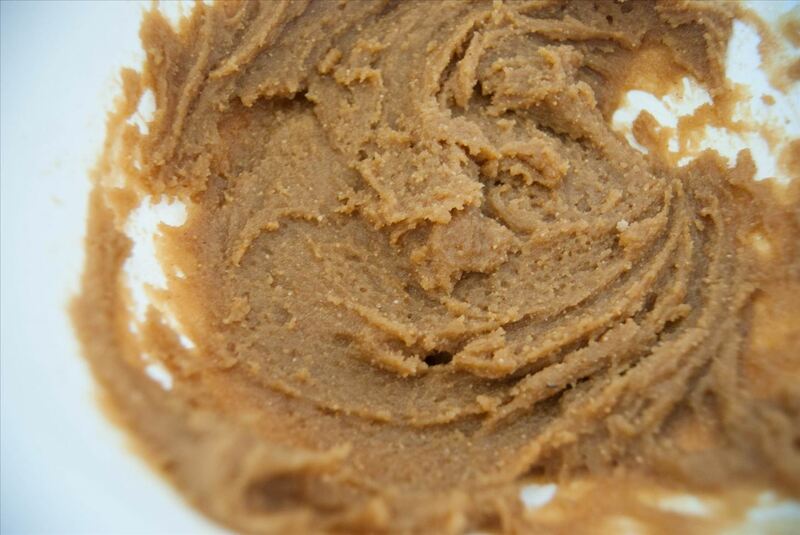 The Great Peanut Butter Debate: Chunky or Creamy? Frankly, it doesn't matter for this versatile recipe. I'm a creamy peanut butter fan all the way, so that's what I decided to use. 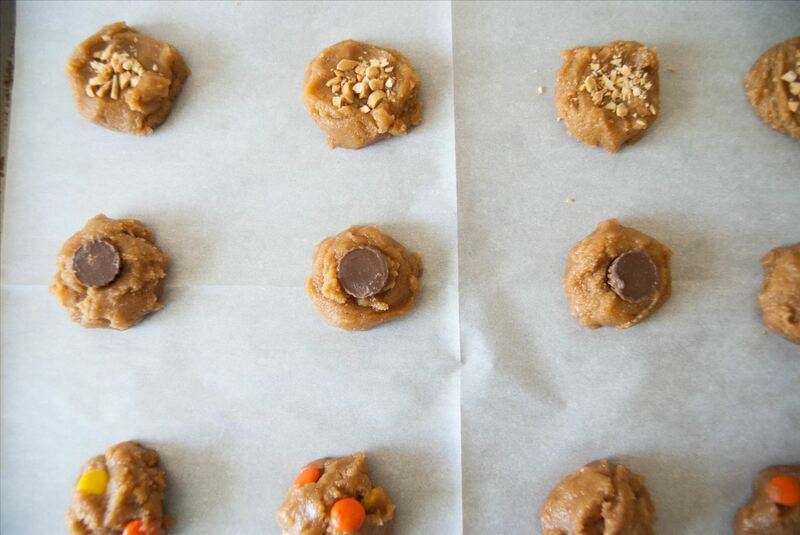 However, if you prefer your cookies to be a little chunky, then use chunky peanut butter instead—it won't change the yield or the overall flavor of this tasty treat. Preheat the oven to 325°F. 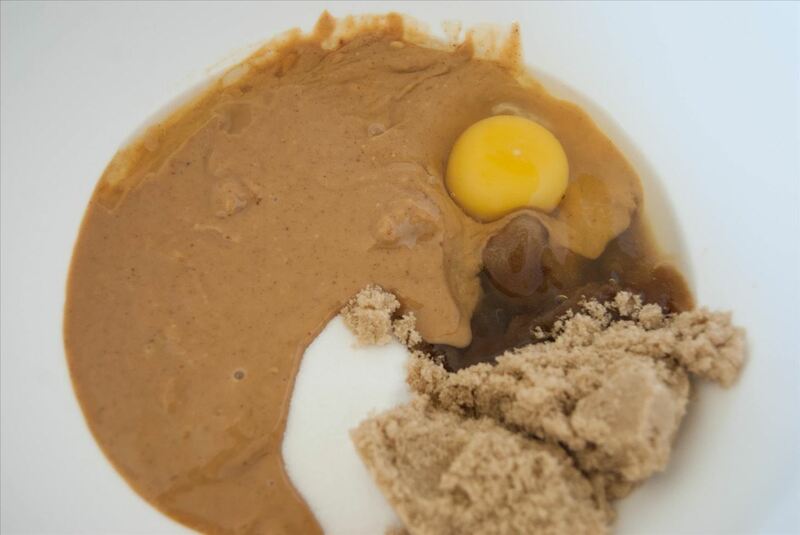 Combine the sugars, egg, and peanut butter into a mixing bowl and stir the mixture until completely blended together. Stick the tray in the oven and bake for around 15 minutes or until the cookies turn golden brown. Let them cool down for 5-10 minutes, then enjoy! The moment the cookies were out of the oven, I couldn't help but try one or two out of curiosity: they smelled amazing, but I was unsure what their consistency would be like without flour. To my delight, they turned out both moist and chewy, with a hint of nuttiness that wasn't overwhelming—in fact, the flour was hardly missed. 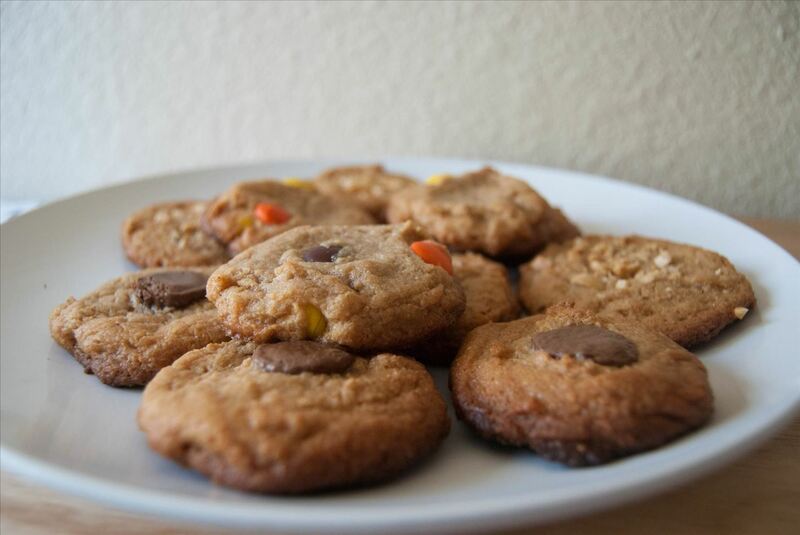 Definitely give these insanely good cookies a try at home, and let us know in the comments how they turned out. Anyone else think the picture under the ingredients looks a bit like homer simpson?? !